Outgoing US President Barack Obama has arrived in Athens on the first leg of a visit that will also take him to Germany and Peru. During the visit, Obama is expected to focus his attention on Greece’s debt, which at 177% of national output is the largest in Europe. The US and the International Monetary Fund have been calling for the debt to be restructured to help reignite Greece’s struggling economy. These calls have met with resistance from within the European Union, particularly from Germany, whose banks would bear much of the risk. Greece is hoping that the visit will increase pressure on its creditors to grant debt relief. 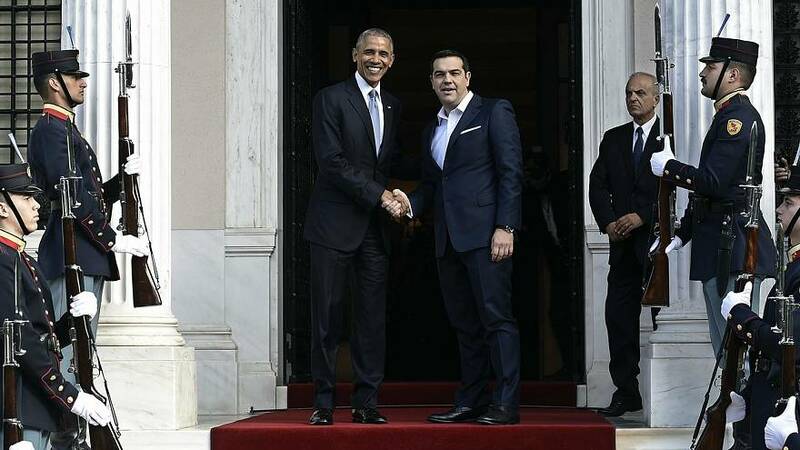 Before travelling, Barack Obama told Greek newspaper Kathimerini that ‘I am a strong believer that to make reforms sustainable, people need hope’. In what will be the last visit to Europe of his Presidency, Obama will meet with Greek President, Prokopis Pavlopoulos, and is expected to give a joint press conference with Prime Minister Alexis Tsipras on Tuesday afternoon. President Obama will fly on to Berlin, where he will meet with President Angela Merkel, on Wednesday.